Lawbreakers are those menaces to society who simply won’t follow the rules because they think they are somehow above the law. Lawbreakers also believe that they are so crafty and quick that they’ll get away with whatever they want to do. This type has no respect for property and personal rights. They are incapable of considering the big picture and are like perpetual three-year-olds, severely lacking in impulse control, maturity, and empathy. Lawbreakers glamorize criminals and idolize the ones who famously steal, fight, disturb and murder. This type’s skewered view of the world leads inevitably to incarceration, injury or death. One would think that getting away with a crime would make a Lawbreaker happy, and maybe it does for a moment or two. But they don’t call it “the long arm of the law” for nothing. Lawbreakers know that at any moment new evidence can surface to tie them to their crimes, so they can never relax. Even in their sleep, they are haunted by nightmares and during their waking hours they are always watching their backs. Lawbreakers hang out with similarly inclined types like the: Con Artist, Stoner, Mythomaniac, Gambler, Fighter, and Devil. Of course, the Lawbreaker also loves (and requires) a Victim. 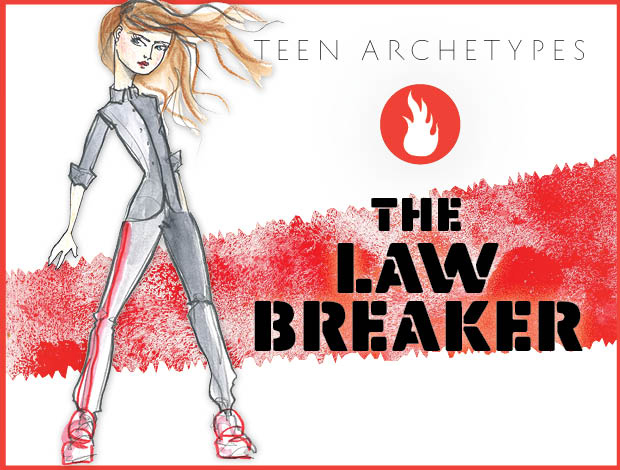 It’s astounding how attractive Lawbreakers tend to be to a certain type of person. Some Lawbreakers manage to attract new partners even after they’ve been found guilty and imprisoned for murder. However baffling and troubling this may be, there are those who want to care for and save the bad guy and think that their love is just the thing to provide the magical, transformational ingredient (Co-dependent much?). They are usually wrong, but the drama involved in loving this kind of Rebel is some kind of perverse reward for their effort. As backward as this may be, to earn a legitimate and honest living can seem like a prison sentence to the Lawbreaker. 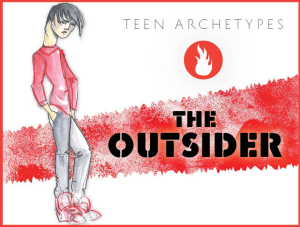 This type gets addicted to the adrenaline rush of criminal activity and becomes infatuated with his or her own identity as the bad girl or bad boy. So the biggest challenge for the Lawbreaker is to understand the nobility of honest work and the beauty of simple exchanges. If you know a Lawbreaker, watch out. By having knowledge of this person’s crimes you are complicit in them. If you are a Lawbreaker, someday you may realize how immature, petty, and shallow you’re being in your adherence to a truly messed up value system. If you’re lucky, you’ll realize this before it’s too late.